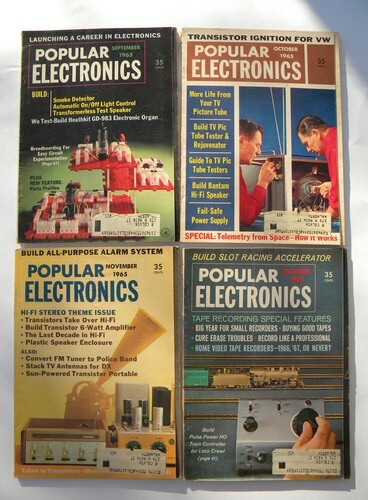 Complete year of 1960s vintage Popular Electronics magazines. This is the full year of 1965, all twelve issues. 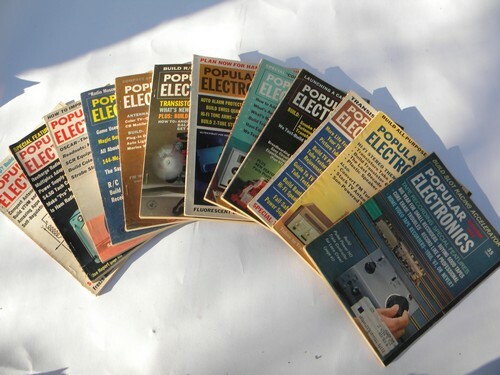 They are full of tons of fun, do-it-yourself electronics projects with lot of photos, illustrations, circuit diagrams and much more! 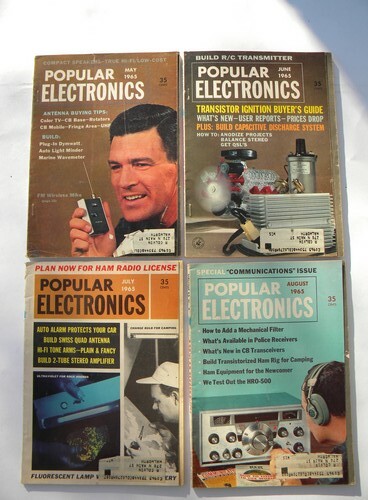 Some of the great projects that we saw included building a transistor 6-watt Hi-Fi amplifier, building a smoke detector, an automatic on/off light control, a bunch of ham radio projects from the Special Communications Issue (Aug 1965), building radio antennas,. speaker enclosures and many others projects. 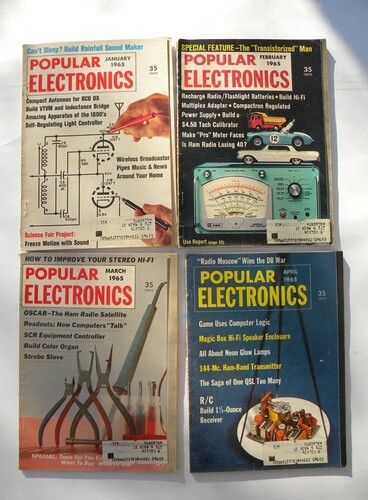 These magazines are all from the estate of an electrical engineer and short-wave radio buff. They have mailing labels, light wear and some areas of sun fading from storage. There is some flaking to the spines.